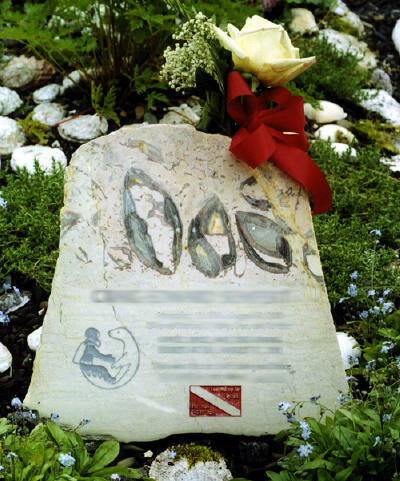 With sand-blasting technology, we can engrave sawn and polished Alaskan stones. Letters may be painted black, white, gold, other colors. 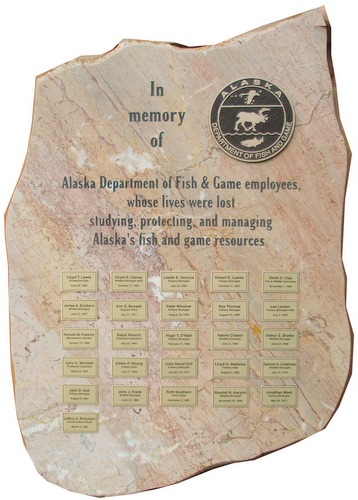 Memorials - beautiful Alaskan stone, with precision sandblast engraving. 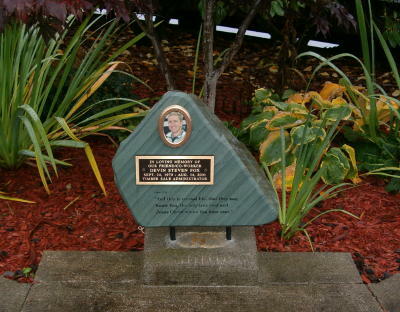 Stone Arts of Alaska has memorial stones in place from Dutch Harbor, Alaska to New York City. About twenty are on Prince of Wales Island. We have completed approximately fifty stones. 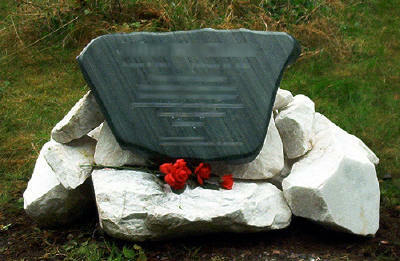 We recommend the Prince of Wales Greenstone for memorials because it is unaffected by weather. The lettering and polish will not deteriorate over time. We also made stones out of Aphrodite Marble The marble makes a very beautiful memorial stone. Buyers should be informed that marble has a drawback. 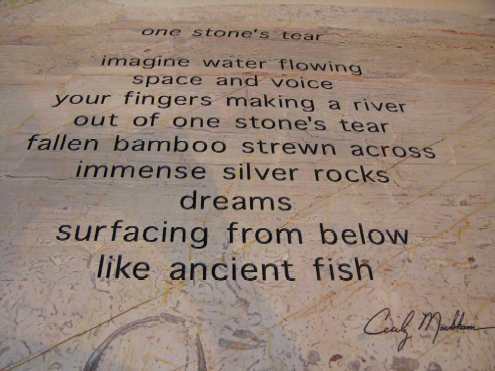 Water (rain) chemically etches it. Overtime, the polished surface will dull. Over decades of time, the lettering will become indistinct. We coat our stones with a commercial water retardant that considerable slows down this process, but will not stop it. We have made a few memorial stones out of Red Jasper Conglomerate. This stone is composed of many kinds or rocks. Ten or twenty percent of the rocks within are marble and those particular cobbles will lose their polish over time, while the rest will not.